Small volumes and chapbooks of excellent poetry appear and disappear, read by friends, colleagues, other poets but seldom getting the readership or the acknowledgment that they deserve. Three such small but impressive offerings are Varian, by Ellen LaFlèche, Elegiacs in a Closed Room by Carol Frith and If They Have Ears To Listen by Terry Lucas. the charred wicks writhing like sinners. LaFlèche handles an intricate and delicate balancing of life and death with near surgical precision, evoking emotion without catering to it. An excellent read. uncluttered motion of the dark. Fruit filled, flowers filled, thought filled poems. A fine reading experience. Commonplace, but commonplace touched with magic, viewed with awe. Wrens, Corningware, goldfinches, Luke’s Café, Abboud suits web the reader in experiencing life the way it is: curious, quirky, laughable and—quite often—profound. Robert Joe Stout is journalist and freelance writer living in Oaxaca, Mexico. His forthcoming book Hidden Dangers details obstacles facing Mexico and the United States on various fronts, including drug commerce and immigration. His most recent book of poetry is A Perfect Throw(Aldrich Press). Elijah Burgher, Bachelor machine, from behind and below (Guyotat version), 2013, color pencil on paper, 14” x 17″. It’s that time again. The Whitney Biennial, the signature exhibition for the museum and the best known, most influential survey of contemporary American art opened on March 7th and runs through May 25th, 2014. With over 100 artists and artist-collectives, it’s packed to the rafters, but there are so many great pieces, it’s worth taking it all in. There are lots of biennials these days, but there’s still only one Whitney. This will be the 77th exhibition in a series that began in 1932. The Whitney Museum of American Art was founded by Gertrude Vanderbilt Whitney, a passionate supporter of American artists. When the 1913 Armory Show catapulted European modernists to fame in the United States, the spotlight turned away from American artists. The Whitney Museum and the Biennial sought to change that. The Whitney Biennial has never shied from controversy or risk-taking. Over the years it has been at the forefront of introducing new artists and presenting new media. The 2014 Biennial is inclusive in ways that even previous biennials haven’t been. Artists who cross genres are a notable element. There are works by poets who paint, photographers and painters acting as curators, there are artists presenting archives of other artists, there’s even a piece by novelist, David Foster Wallace. The Whitney, as an institution, and the Biennial, as an exhibition, has long been open to artists of every conceivable description, but has often focused on young and emerging artists. That’s changed in this Biennial. The artists this year include many accomplished, though possibly under-recognized artists in their 50s and 60s, all the way up to their 80s. Sheila Hicks, a ground-breaking artist known for enormous woven sculptures rich with texture and metaphor and Louise Fishman whose energetic, bold abstractions fill canvases twice her own size, have powerful works on display. As in the past, time-based art, such as performance, video, sound art, dance and music are included, along with installations, drawing, sculpture, photography and a surprising amount of painting. This year, three curators from outside the Whitney were invited to curate the exhibition, each given a floor of the museum. They are Stuart Comer (Chief Curator of Media and Performance Art at MoMA), Anthony Elms (Associate Curator at the Institute of Contemporary Art, Philadelphia), and Michelle Grabner (artist and Professor in the Painting and Drawing Department at the School of the Art Institute, Chicago). Each brings a different perspective, grounded in distinct training and diverse geographical areas. Their visions and their personal points of view come through in their selections. Grabner, a painter herself, has included much more painting than has appeared in recent years, particularly abstract works by under-recognized artists, mostly women. It’s hard for an 82 year old to stay fresh and new, but the Whitney Biennial is doing it, once again. And while there’s no shortage of biennials, triennials and art fairs presenting wide swaths of contemporary art, the experience of a Whitney Biennial can only be found at the Whitney. Another thing that can only be seen at the Whitney is Zoe Leonard’s room sized camera obscura, capturing in a weird but familiar upside-down way all the activity of Madison Avenue below. It’s as site-specific as a work can be, and makes the most of the possibilities of the space. 2014 may be the last chance to see the Biennial in the famous Marcel Breuer building on 75th and Madison, before the Whitney moves downtown. One of the artists from “Azzoro Group” once said that everything has been done. The work of Rafal Karcz (b. 1969, Krakow, Poland) proves different. He showed us that Polish contemporary art is not only created by well-known artists like Magdalena Abakanowicz, Roman Opalka or Tadeusz Kantor, it is also made by talented, unknown people who are ready to be discovered. His art is quite different from what we can see today: rough brush strokes, form full of expression. 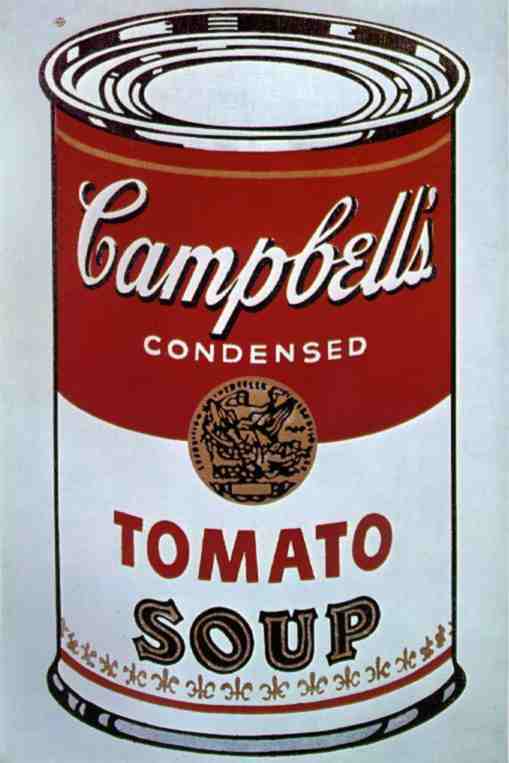 We can almost feel the influence of Warhol’s pop – art and the romantic watercolors painted by Turner. Karcz represents a brand new approach to classical techniques: watercolors, acrylic, dark ink and soft lines of graphite. Although for many years the artist admired work of great painters from the past, in a way he managed to escape from the academic conventions. What is more, he used classical techniques and his knowledge to create an original style of his own. Though his artworks might seem realistic, on the second glimpse we can see that they can be classified, with equal ease, as avant-garde abstractions: visions painted on the old films, drowned in a fabulous spectacle of color. The association with photography emerges almost immediately. Nevertheless, Rafal Karcz does not paint freeze-frames taken from the city life. The artist, entrenched in post modernistic way of thinking, decided to face the very difficult task of painting a concept – condition of the contemporary human being. The characters on his canvas are, as in life, blended into the cultural background. They are also very diverse, often lost, and constantly seeking inspiration. Karcz, through his art, shows his point of view. His artworks reflect not only the Polish presence with its baggage of historical references, but also ask questions about the mentality of the contemporary human being and the condition of his emotions. Those interesting paintings encourage us to stop and think for a second. They are the same as the figure of their creator: original and different from well-known stereotypes. The forty-two-year-old artist with a diploma in art history and industrial design is definitely standing out from the crowd. Even though he is living and working in a small village in Poland called Bronowice, he does not consider himself as an outcast from the modern world. On the contrary, he is an extraordinary artist of the XXI century, with an interesting image and fresh ideas. While remaining in constant fight with the overwhelming mainstream, he chose to publish his artworks on various international websites connected to art and culture. Currently, he is creating a private collection of unusual paintings coming from the exchange with foreign artists who are quite similar to him – talented, still searching for their place on the demanding art market.